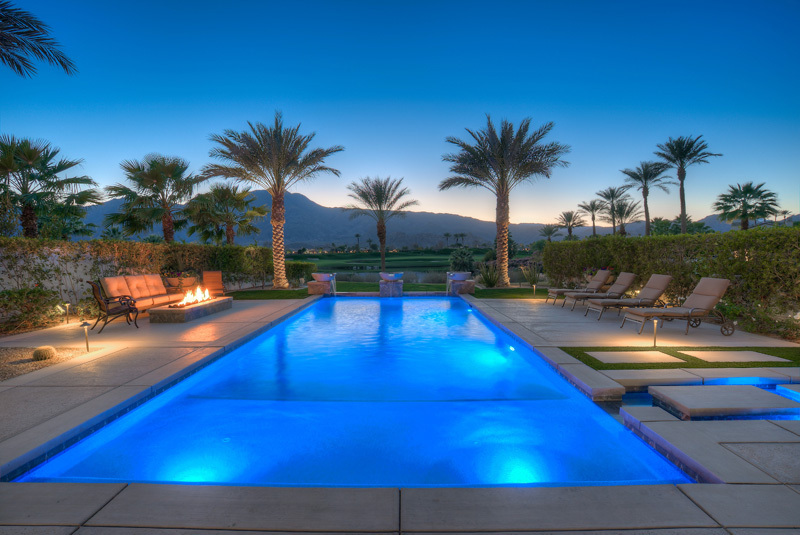 Prepare to be amazed by a residence that encompasses all that one desires! 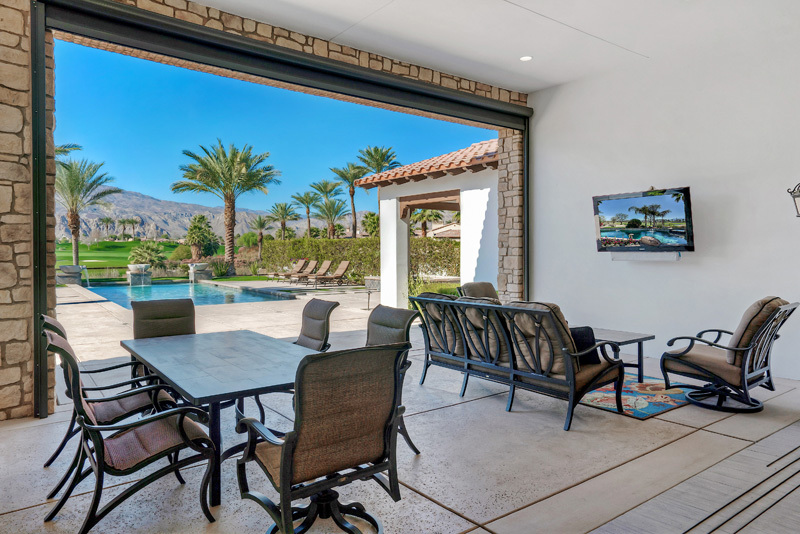 From the moment you enter this contemporary home, your eyes are immediately drawn to the automatic sliding glass wall which seamlessly flows into your private loggia with some of the most incredible mountain and golf course views Andalusia at Coral Mountain has to offer. 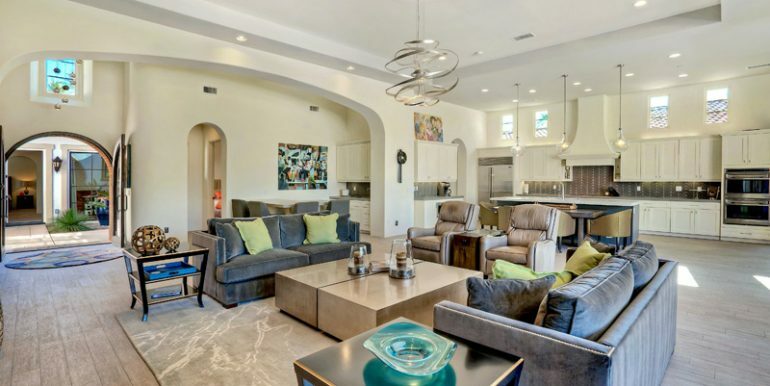 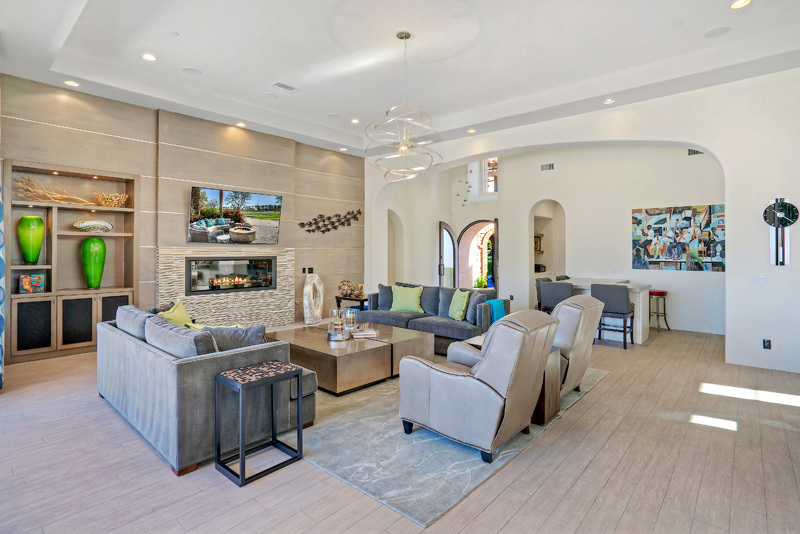 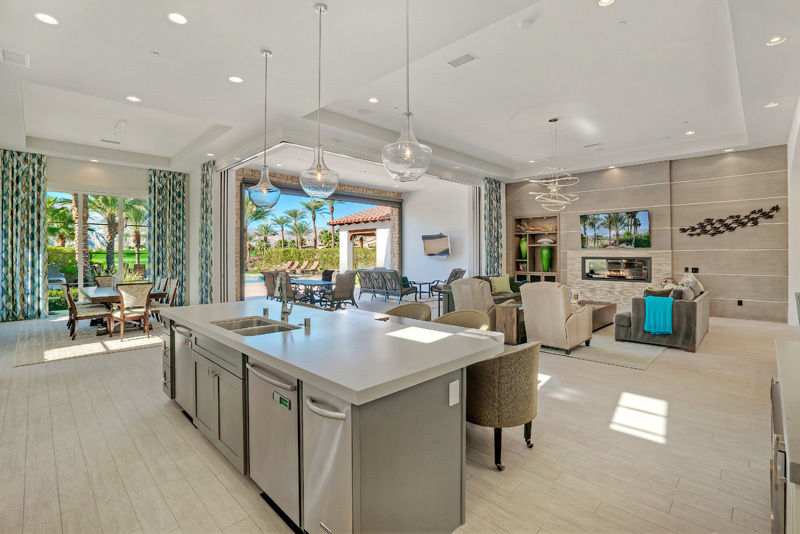 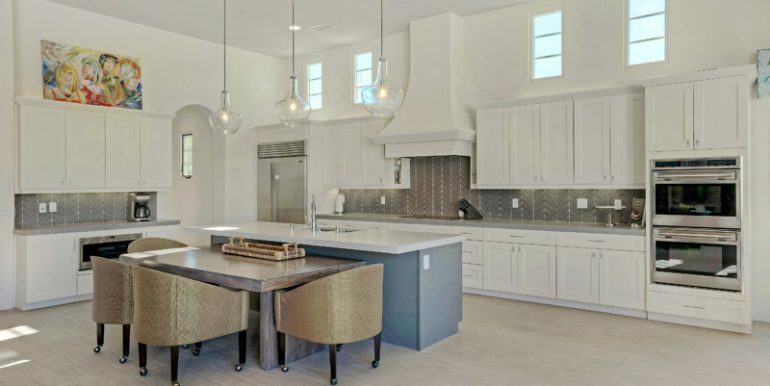 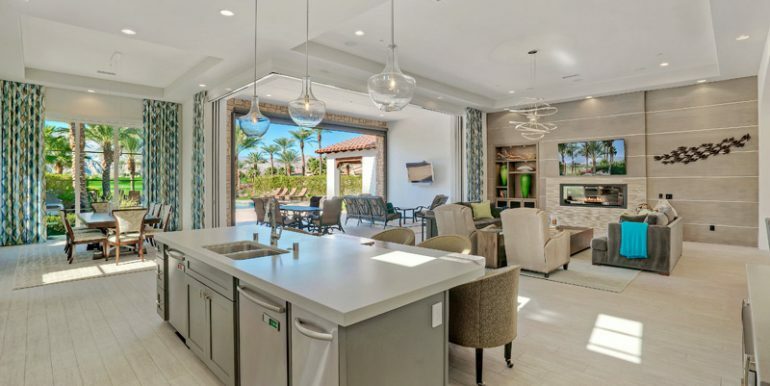 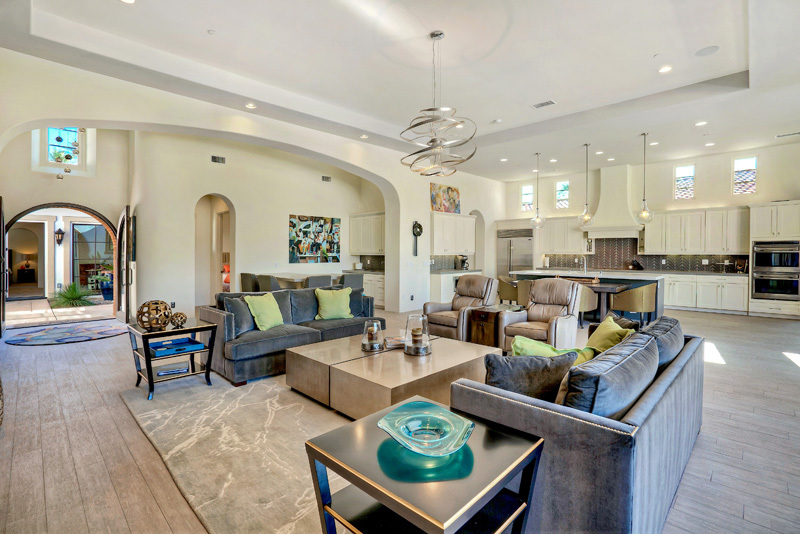 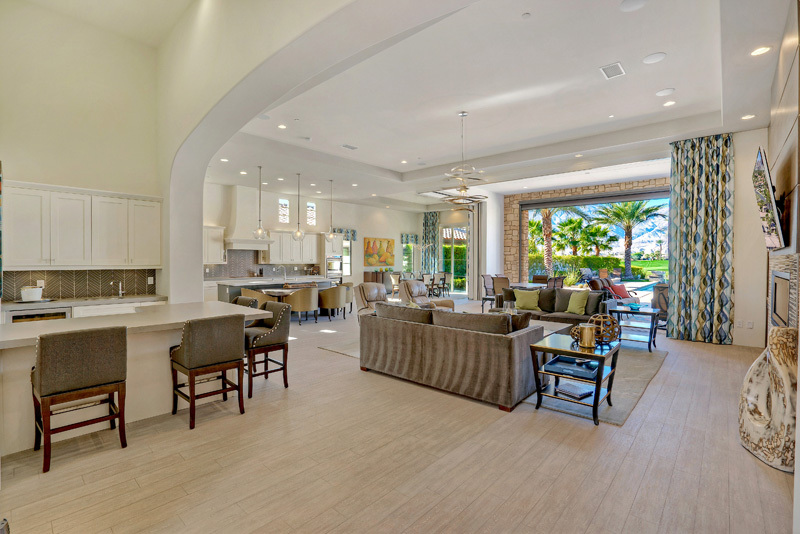 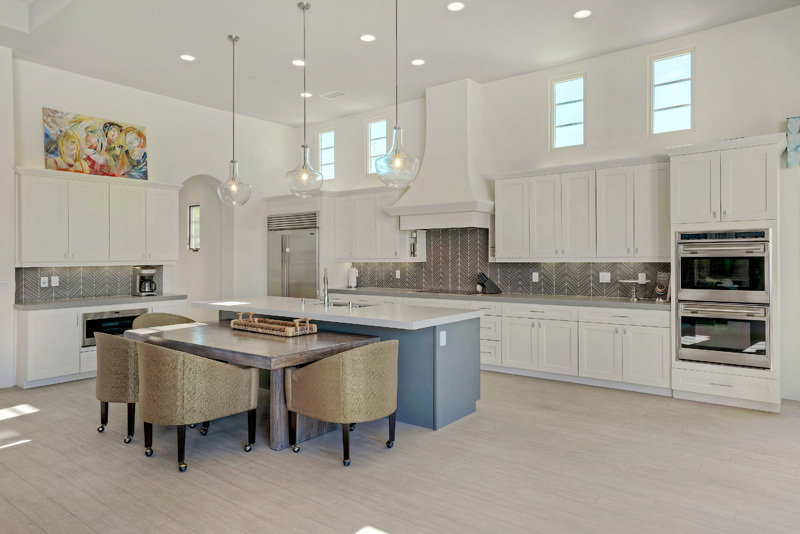 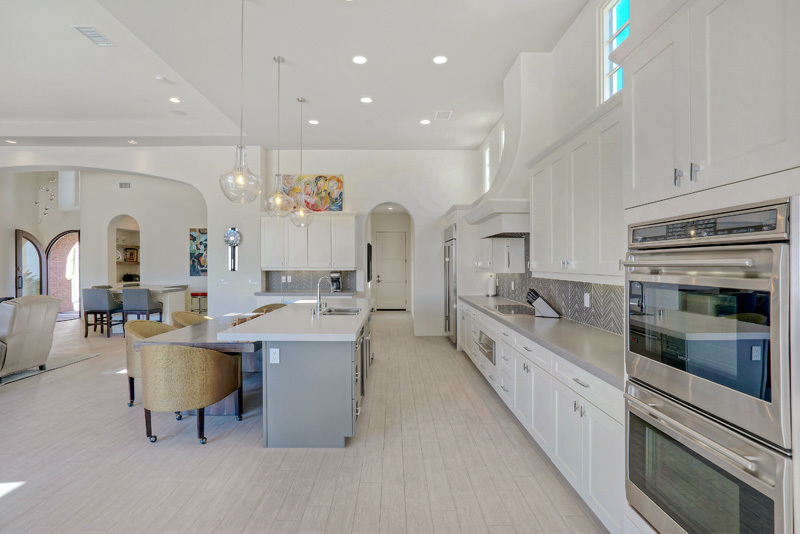 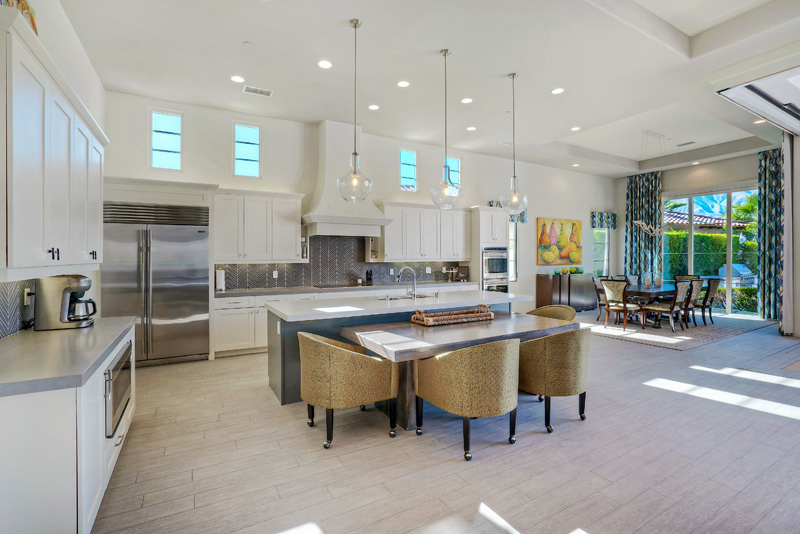 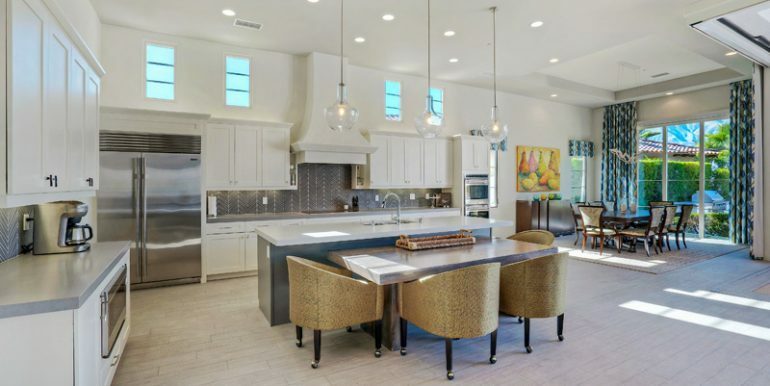 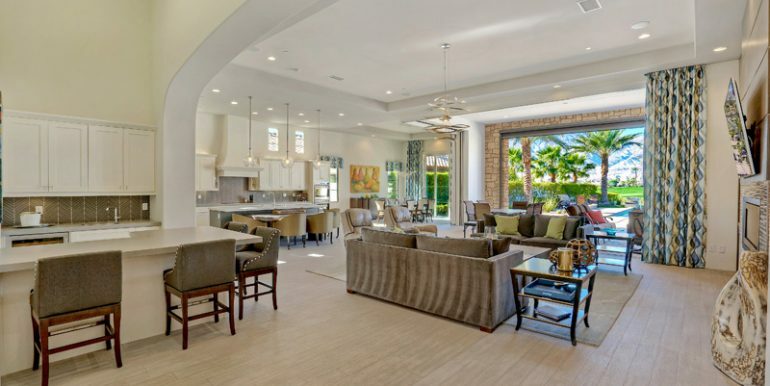 The open concept merges the great room, bar area, kitchen, and dining room into one large living area with beautifully laid porcelain tile floors. 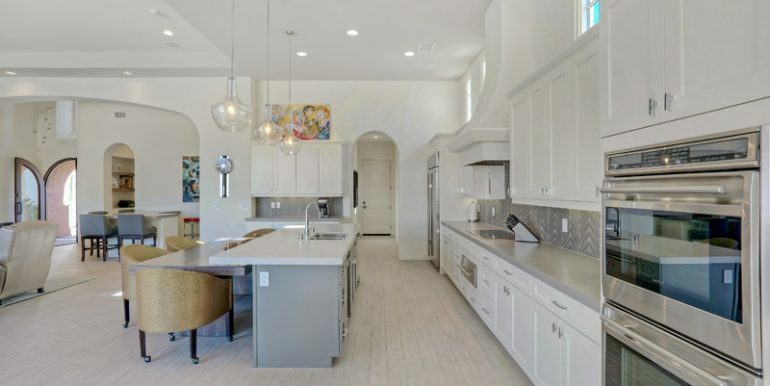 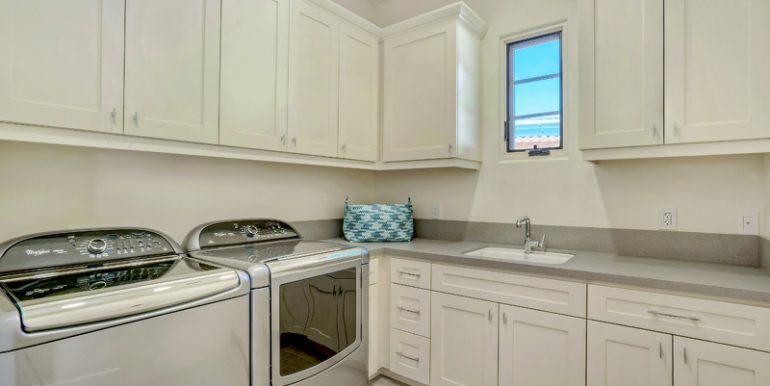 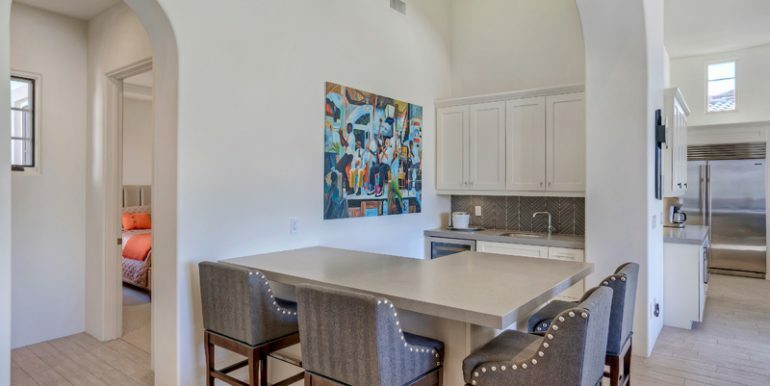 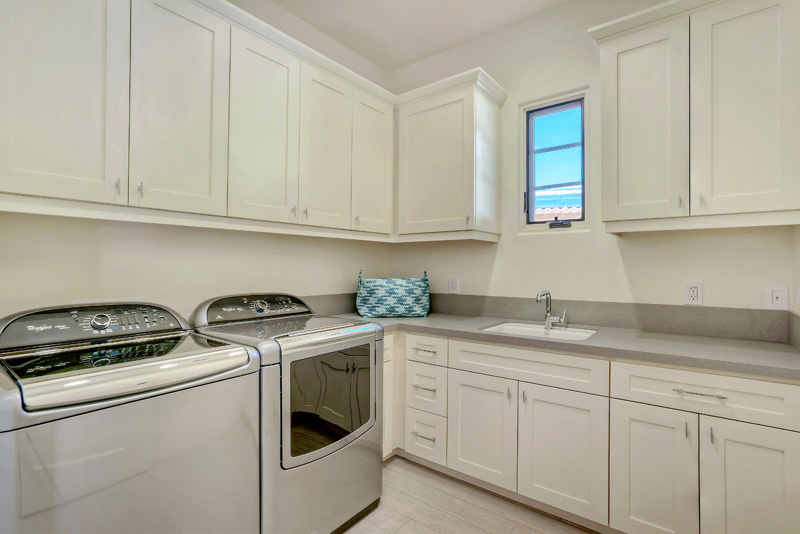 The Chef’s kitchen boasts state of the art appliances highlighted by a Wolf Induction cooktop, custom backsplash, quartz counters, touchless Moen faucet, and dual dishwashers. 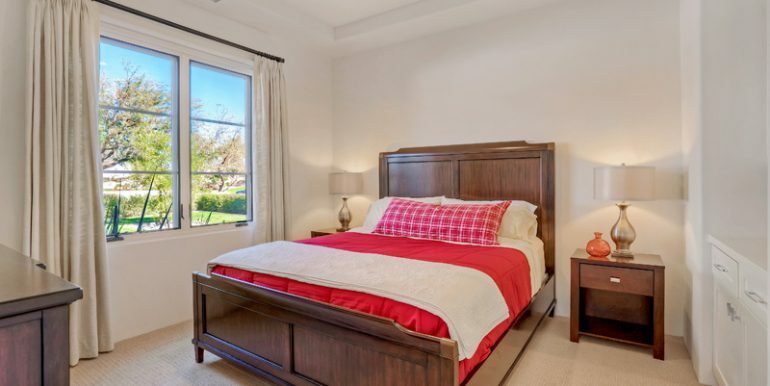 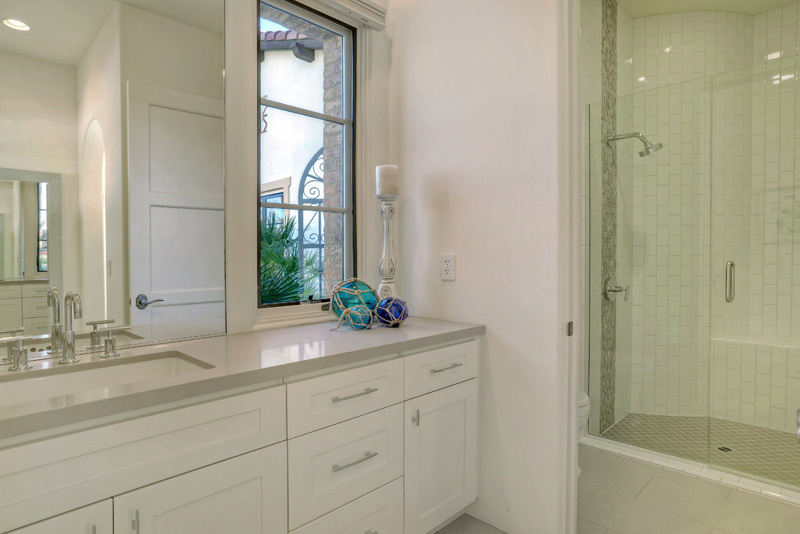 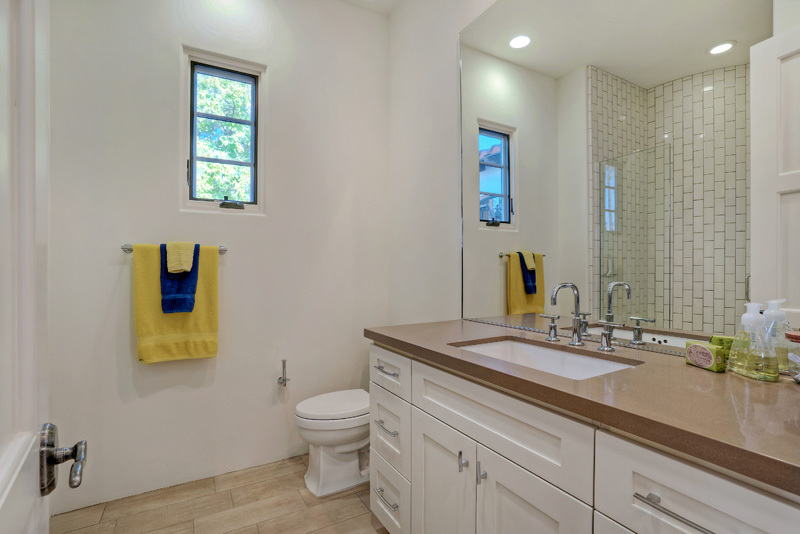 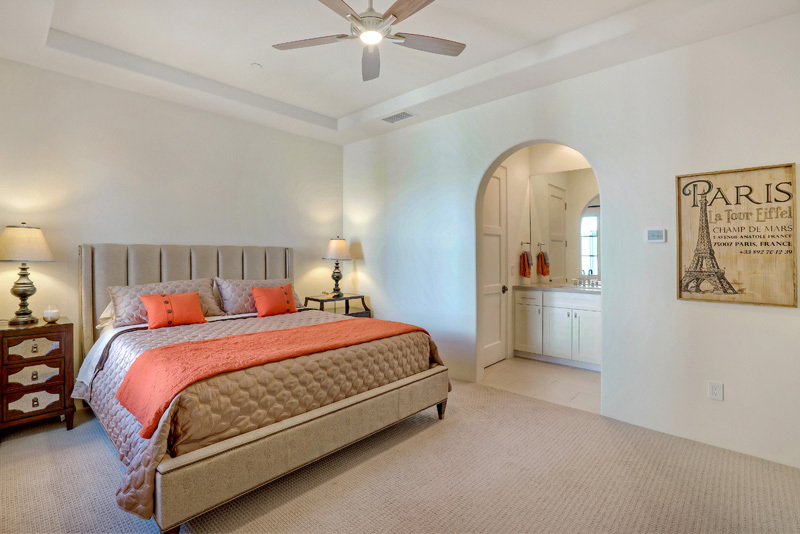 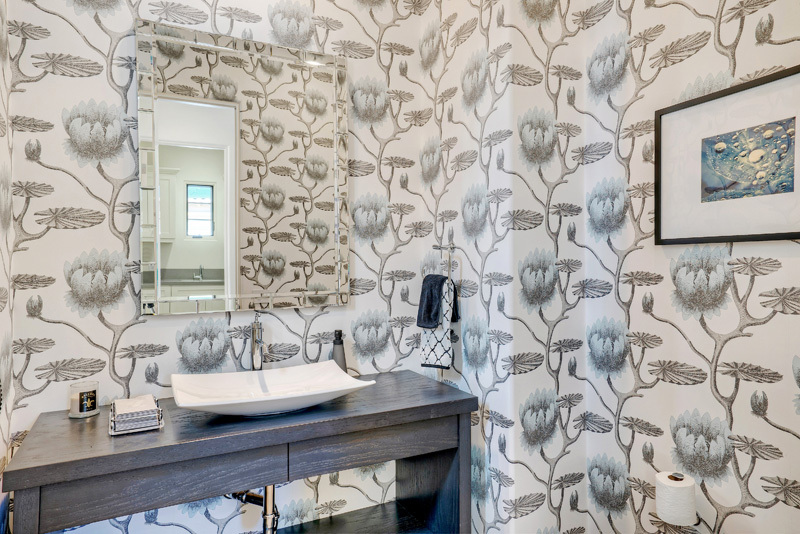 The master retreat features wood built-ins, stacked-stone fireplace, soaking tub and customized his and her closets. 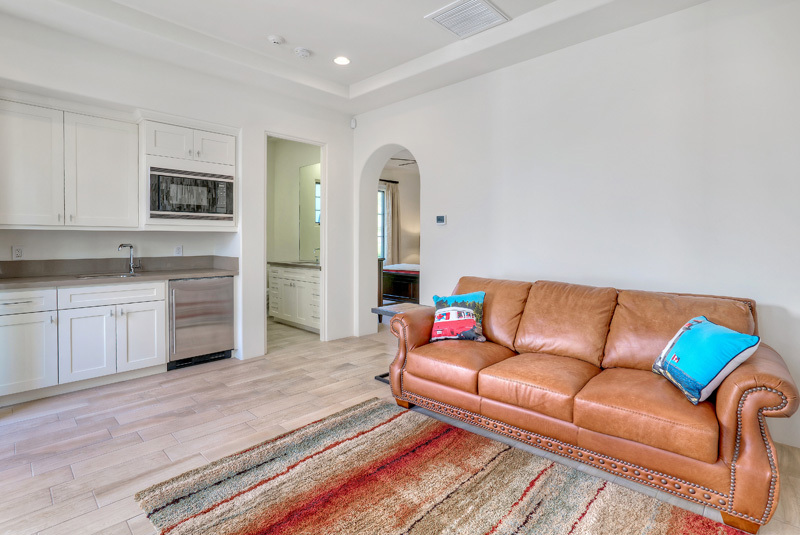 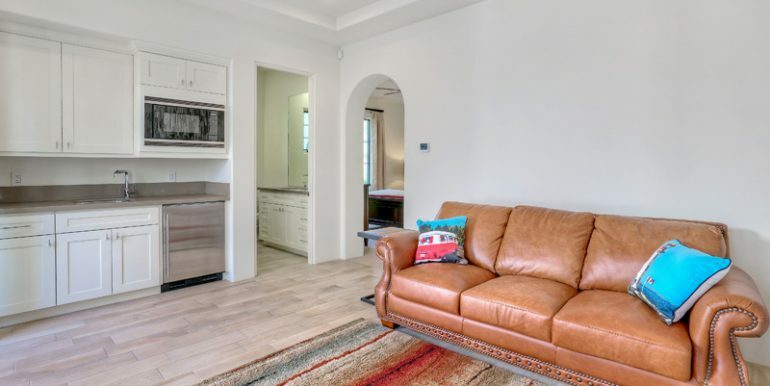 Give your guests the gift of luxury in the private detached casita with living room, kitchen bar, bedroom and bath. 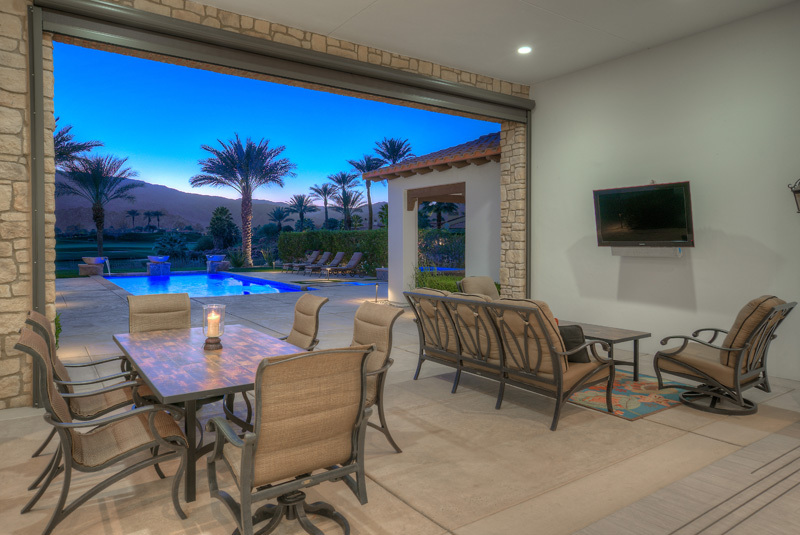 When you step outside, an outdoor oasis awaits. 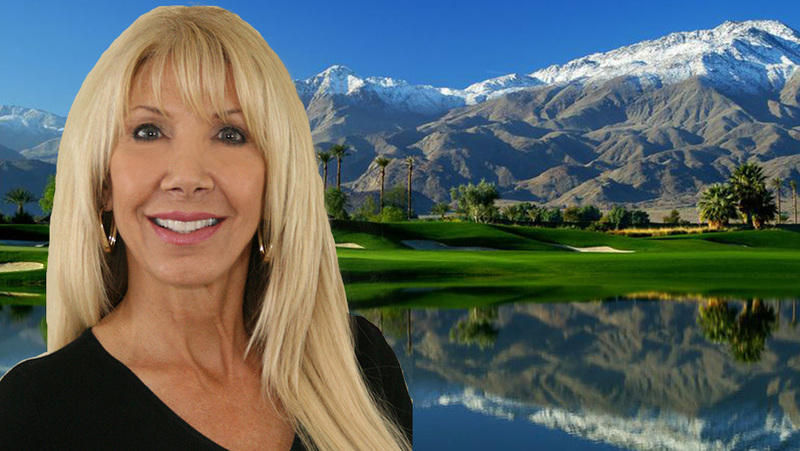 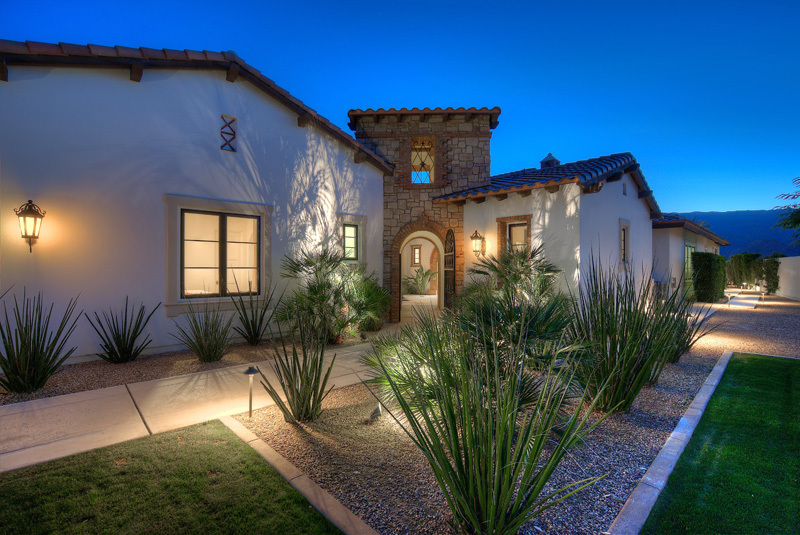 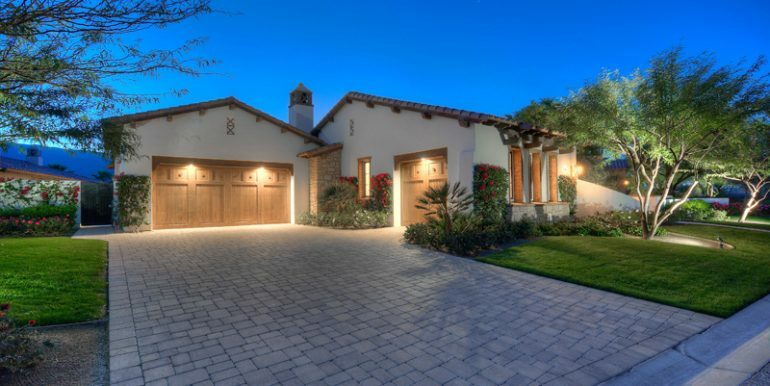 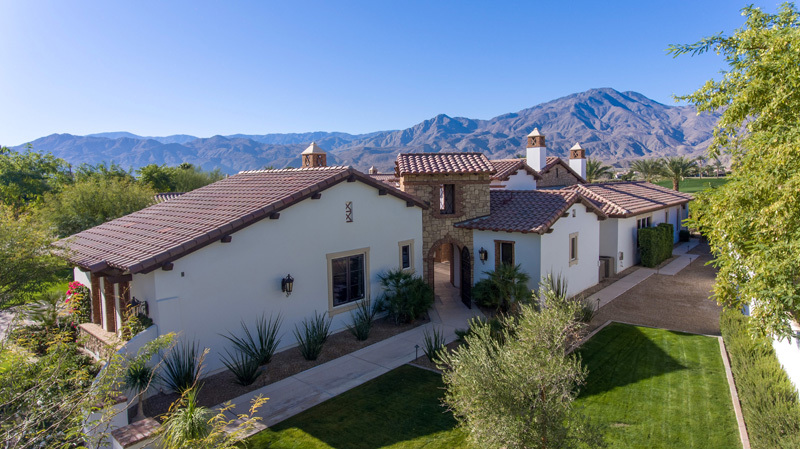 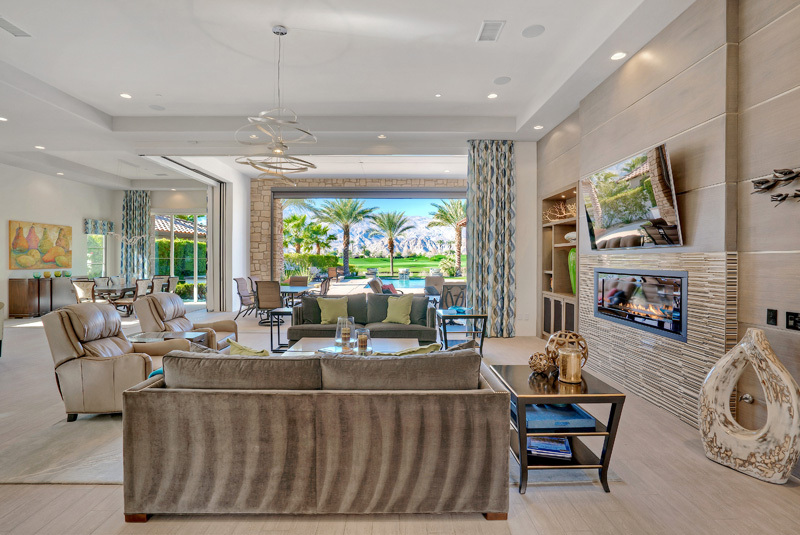 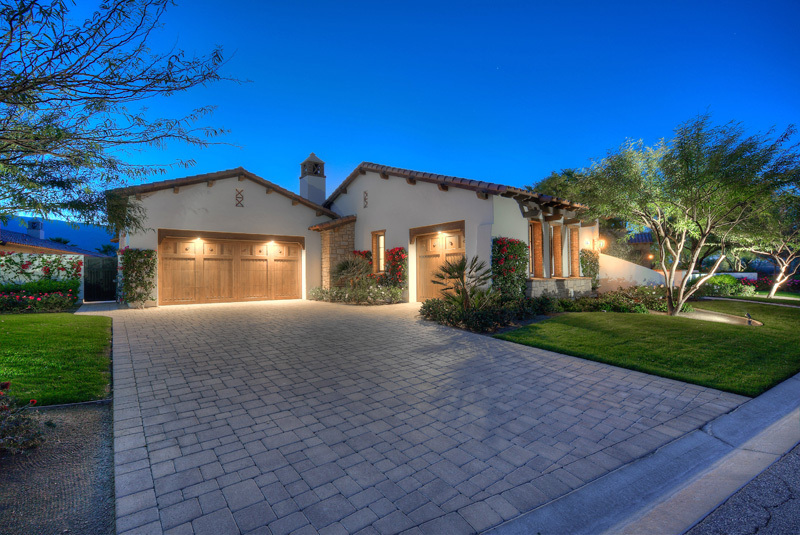 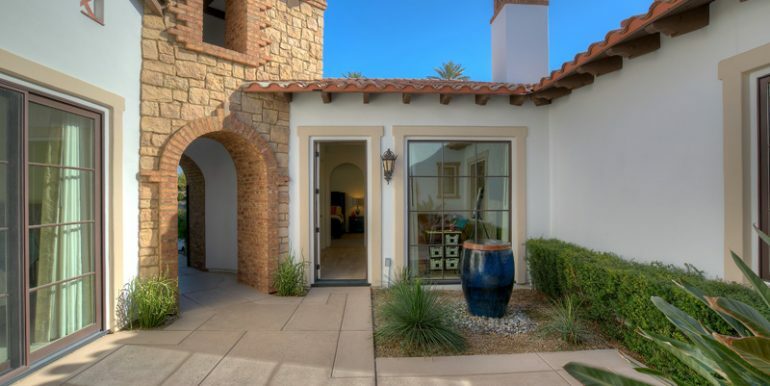 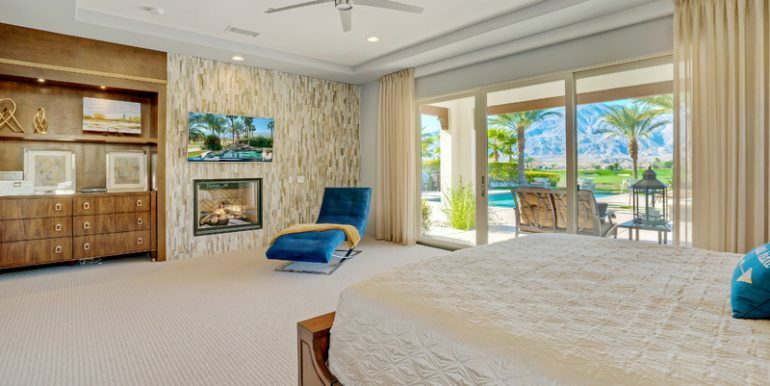 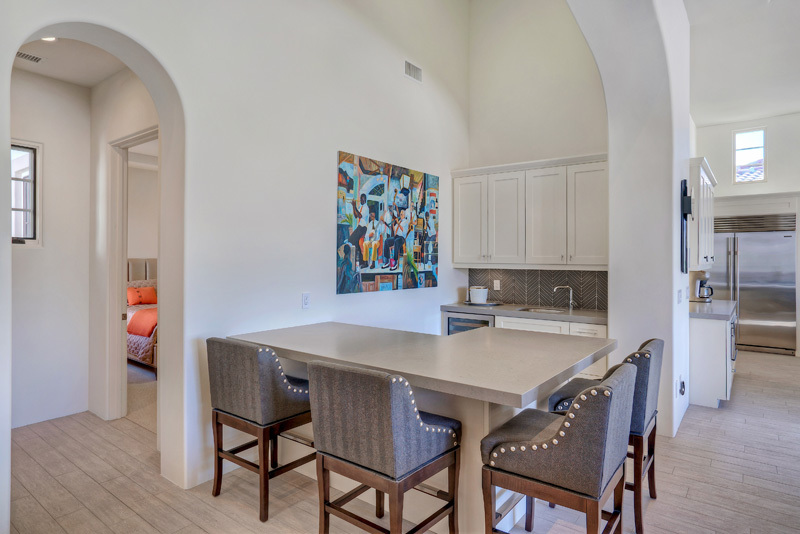 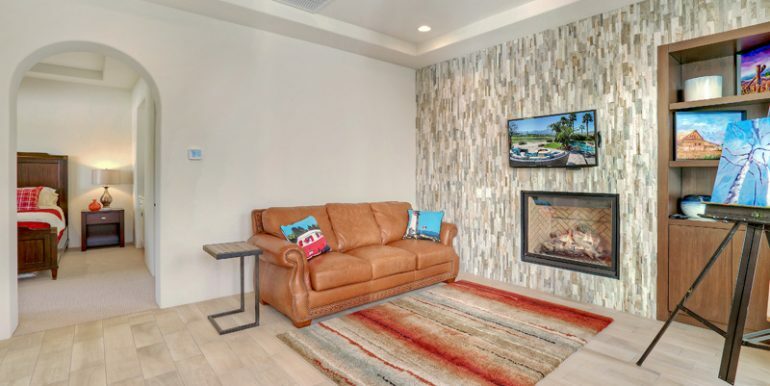 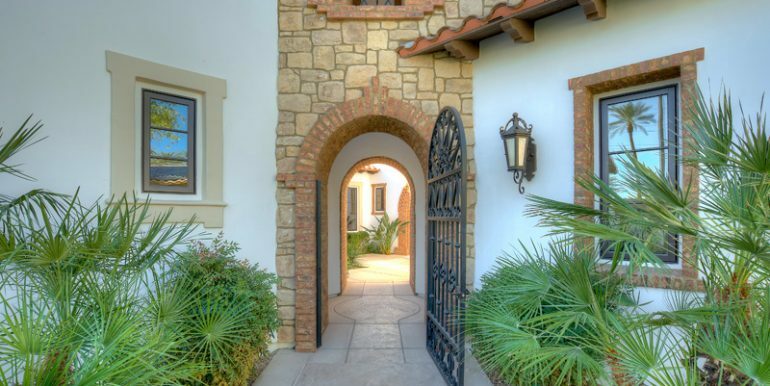 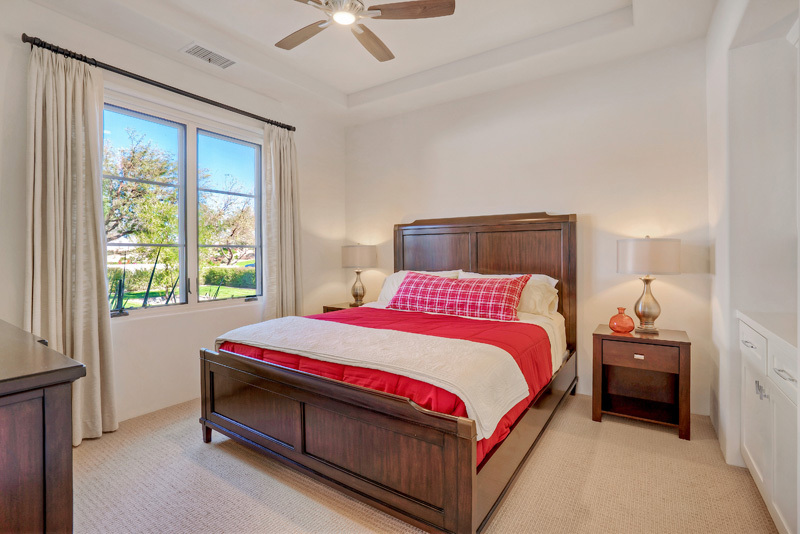 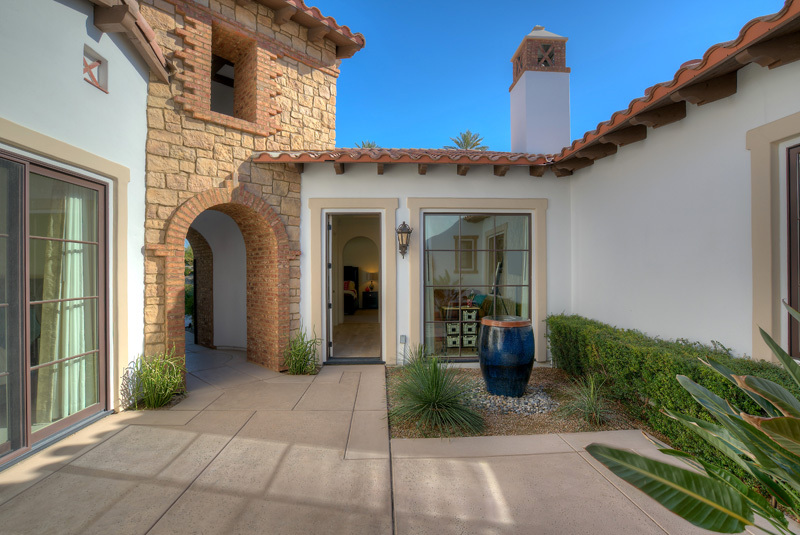 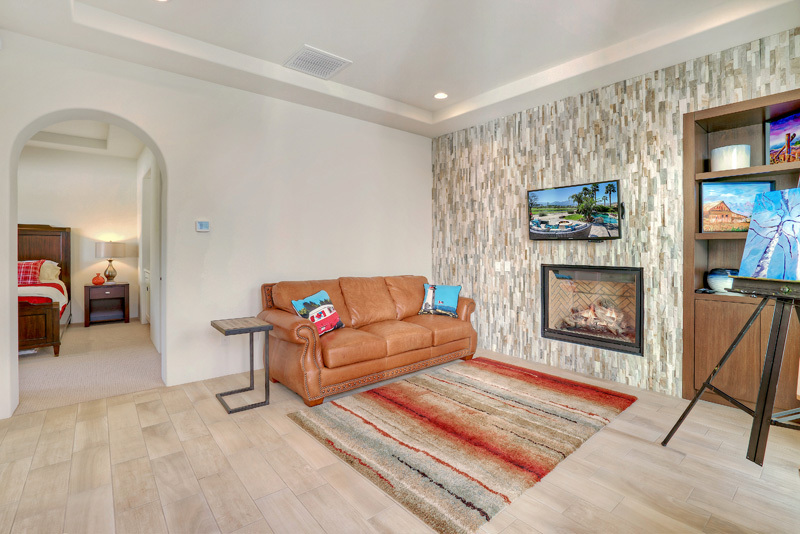 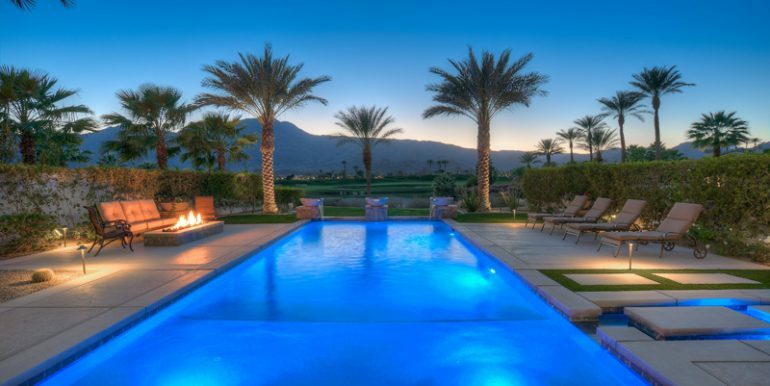 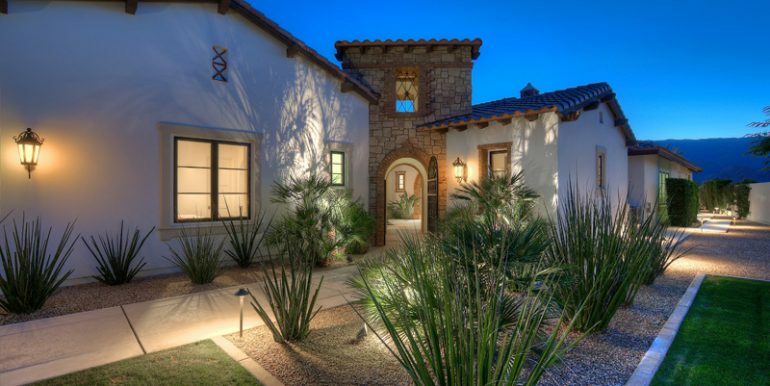 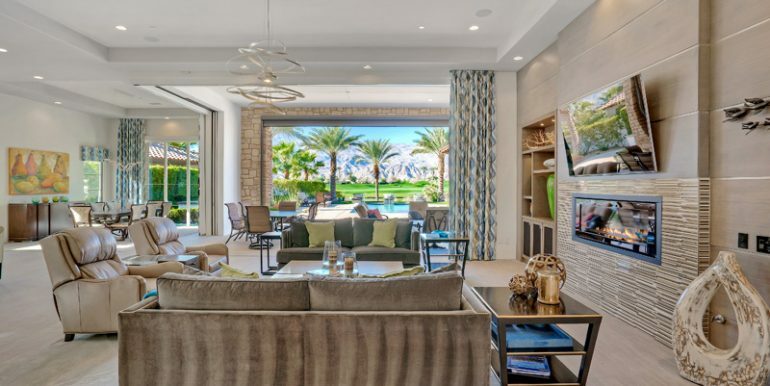 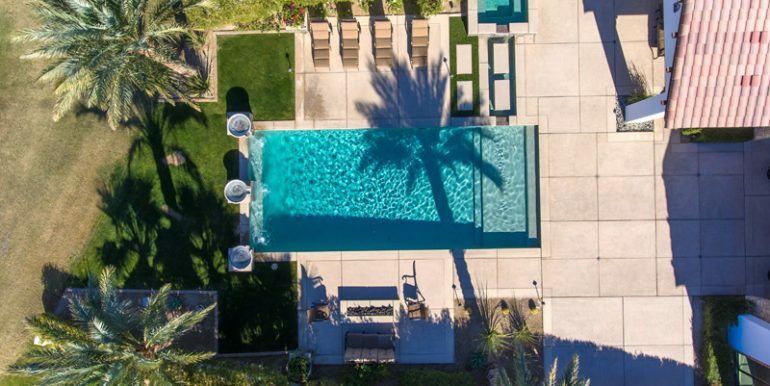 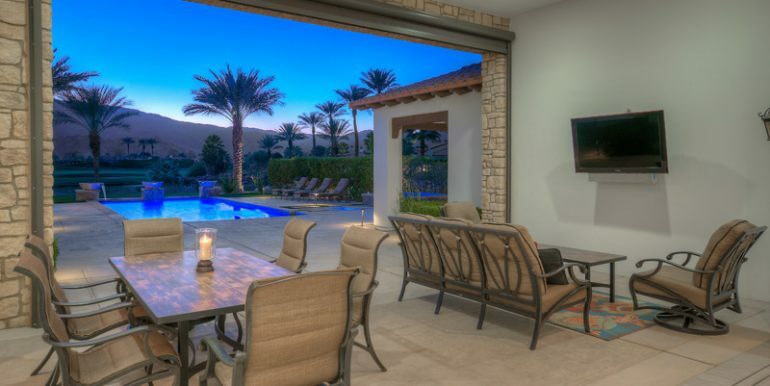 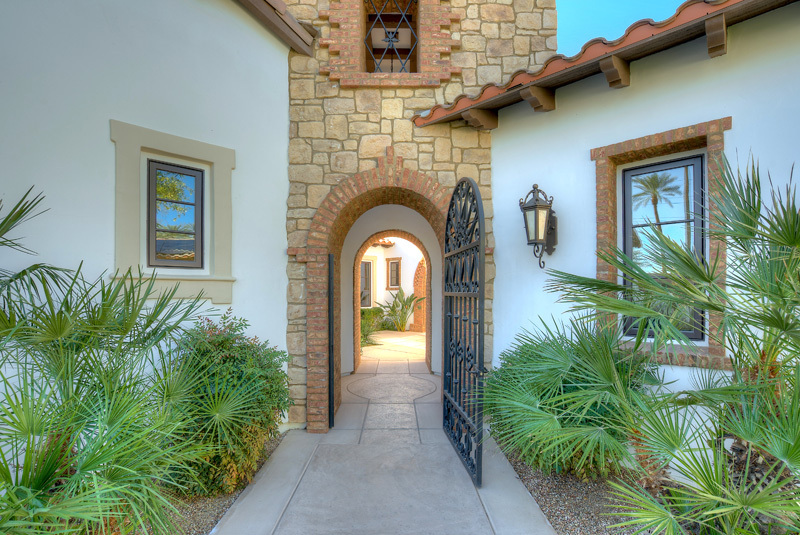 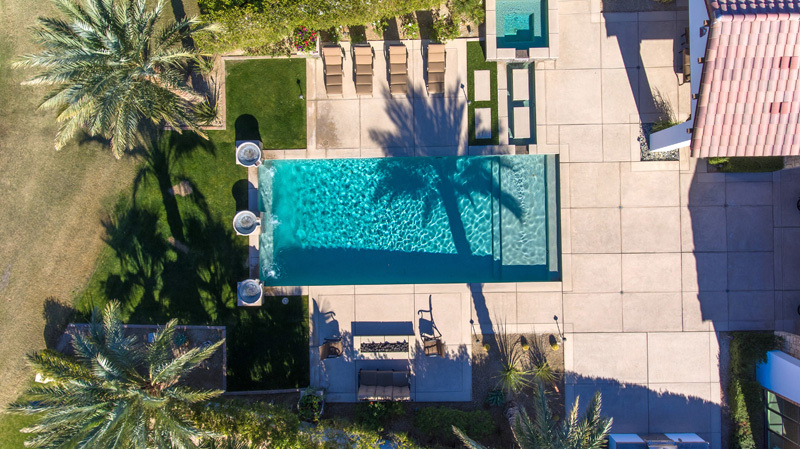 The backyard is complete with a built in BBQ, firepit, pool/spa, and surrounded by generous outdoor living spaces that maximizes views of the Rees Jones designed course and the Santa Rosa and Coral Mountains. 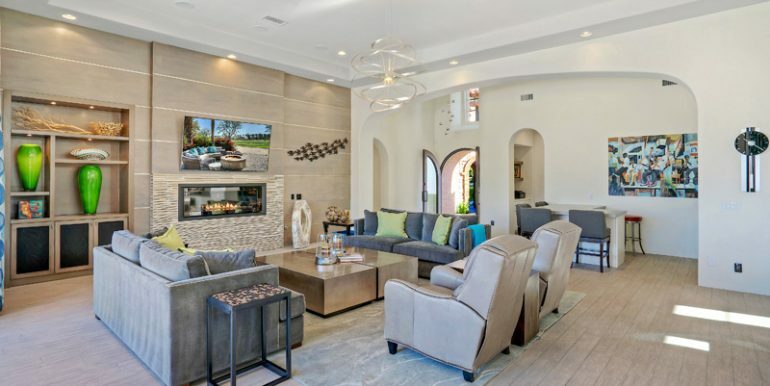 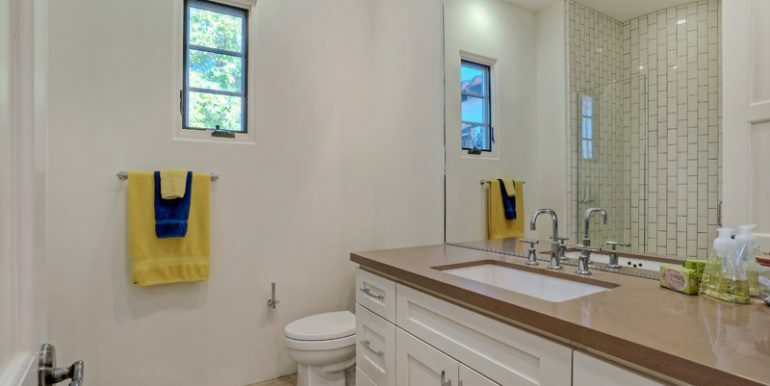 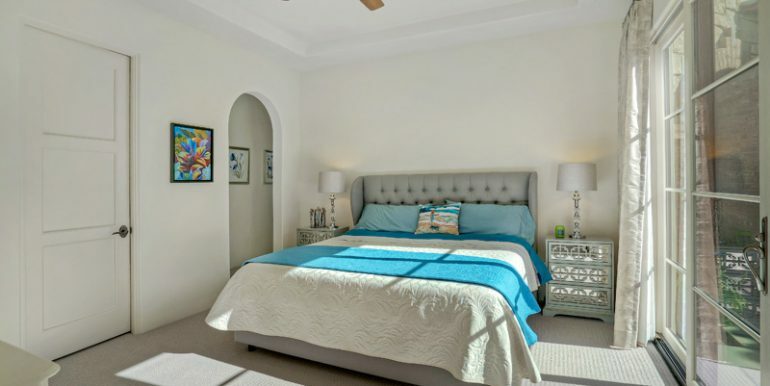 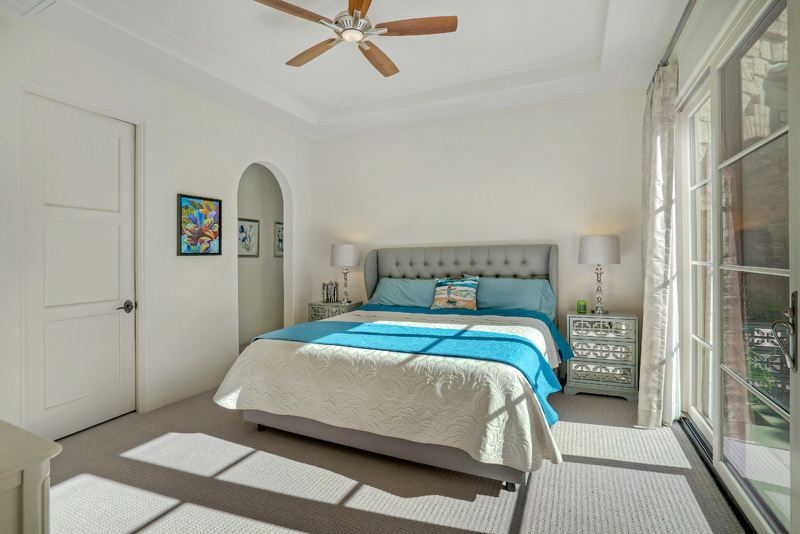 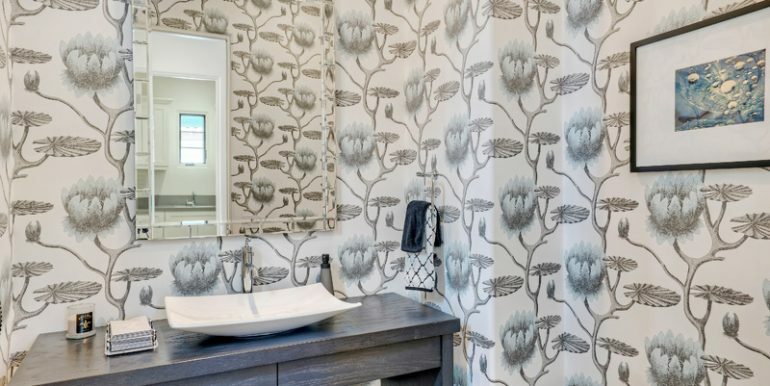 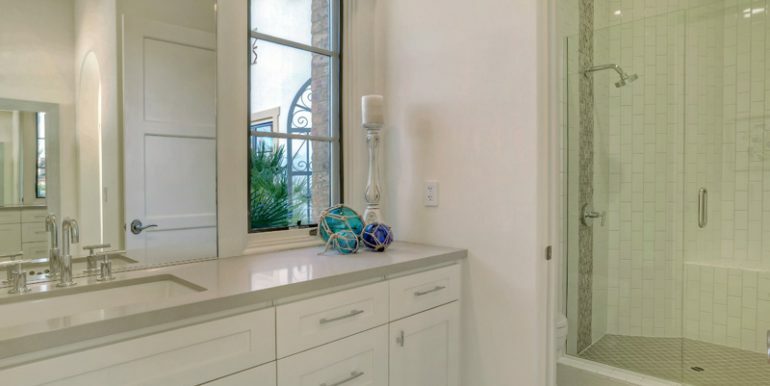 Offered Turnkey Furnished, this jewel of a home is brimming with unique and beautiful custom designer additions that will charm any discerning buyer. 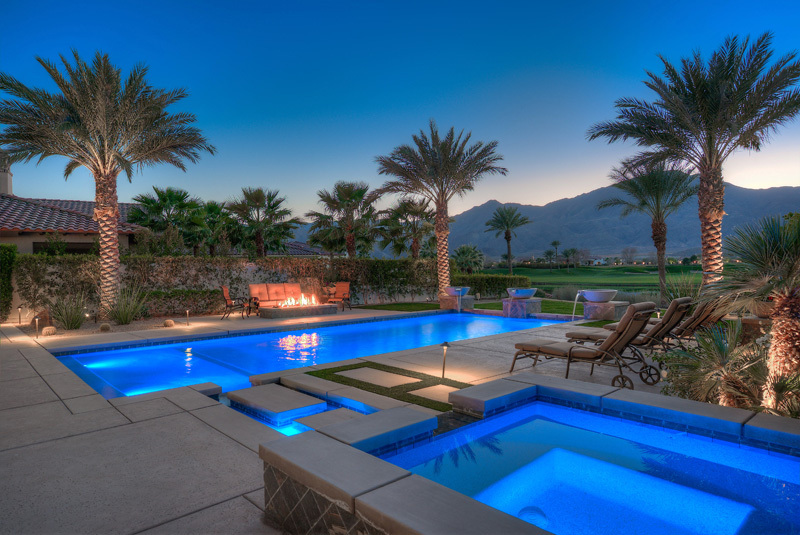 Come live the life you’ve always imagined!